Whether your from Ridgewood, Mahwah, Lodi, Fairlawn or Upper Saddle River NJ buying an expensive vehicle is a big investment for every car owner. 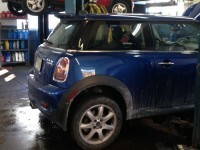 Having a scheduled maintenance plan helps keep your quality auto in tip top shape. We specialize in keeping luxury cars like BMW, Mercedes, Audi, Volkswagen, Mini Cooper and many others, running smoothly by providing the proper scheduled maintenance and timely service. When it comes to the servicing and scheduled maintenance of a European vehicle, a professionally trained staff and service center is crucial. At Lincoln Ave Auto we specialize exclusively in German Engineered automobiles. Scheduled Maintenance plans are great because they help keep you to the factory specs which are required by the car manufacturer to stay within your warranty.